If you buy an item via this post, we may get a small affiliate fee. Details. 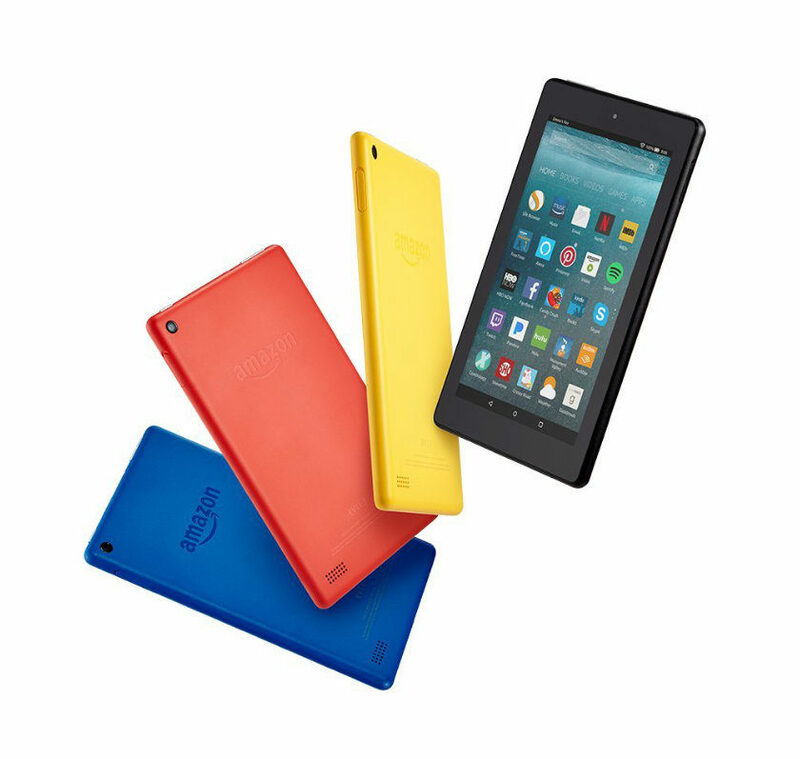 The 2017 7-inch Amazon Fire tablet costs the same as its predecessor, but is lighter, thinner, and comes in new fashionable colors. In late May, Amazon announced 2017 Fire models. Two of them are Fire tablets (7 and 8-inch), and two other are the special editions addressed to kids. Amazon Fire 7 (2017) is thinner and lighter than its predecessor, and has a slightly better display. Its price is kept at the same level as the first-generation Fire 7, and is $49.99. When it comes to dimensions, it’s the weight and depth of the device that had to be improved – and they are. Compared to the 2015 Fire 7, which had 11 oz (313 g), the weight of the new model is reduced to 10.4 oz (295 g). It doesn’t look like a huge win, but when combined with the considerable reduction in depth, the users should have the impression that the new Fire 7 is much lighter than its predecessor. How thin is the 2017 Fire 7? It’s 9.6 mm compared to 10.6 mm of Fire 7 (2015). The new device is now thinner than Fire HD 8, and thicker by only 0.9 mm than the 7-inch Samsung Galaxy Tab A.
Amazon claims the new Fire 7 features improved IPS display with higher contrast and sharper text. However, the resolution (1024 × 600) and pixel density (171 ppi) are the same as in the previous-generation model. If you own the first-generation Fire, don’t expect a huge improvement. It’s worth mentioning that Fire tablets offer a feature called Blue Shade. It’s the blue light control function similar to Night Shift on the iPad and iPhone. When it gets dark, the screen gets warmer and darker. Thanks to that it’s optimized for a more comfortable nighttime reading experience. 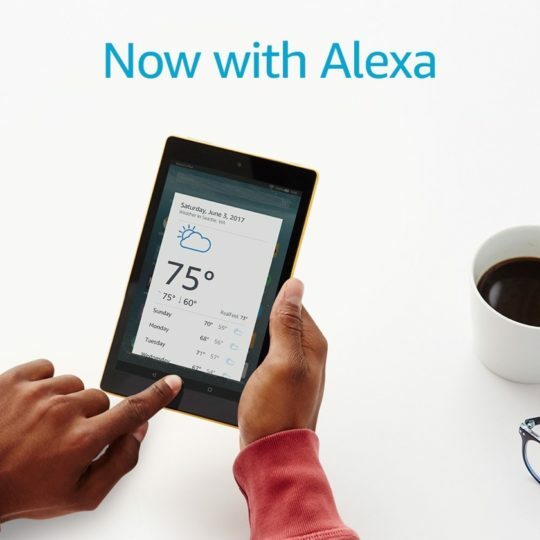 Most importantly, the entry-level Fire tablet comes with Alexa – the personal assistant operated by voice. You can ask questions (for instance, about the weather), start playing a song or an audiobook, or check your calendar. Everything can be done without typing a single word. All you have to do is press the home button and say the command. 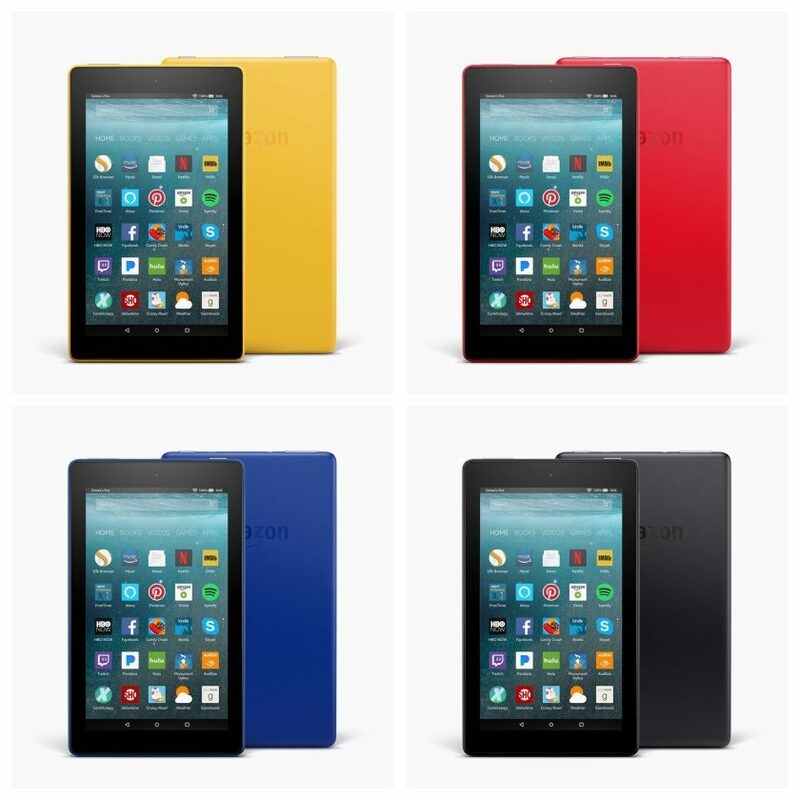 A characteristic feature of all Fire tablets is their bright colors. It looks like Amazon is going to refresh the color range every two years or so. It both will refer to tablets and original case covers. I have to say I like the 2017 colors much more than the ones for the 2015 Fire tablets. Compared to cyan and magenta, the new colors are bold and bright, but they are much warmer. There are four colors to choose from – and their names say everything. Besides Black, you can get Canary Yellow (my favorite), Marine Blue, and Punch Red. And the last thing: original Amazon Fire 7 (2017) case covers. Amazon spent a lot of time to make them a hard-to-resist accessory. First of all, the colors of the covers match the colors of the tablets. There is one more option in the pool, and it’s Cobalt Purple. When you look at the colors, you’ll immediately realize you can get creative and combine them freely. You don’t have to buy the Canary Yellow case for the Canary Yellow tablet. The cases in all other colors are a perfect fit as well, giving you the chance to get the tablet that is unique and better expresses your personality. 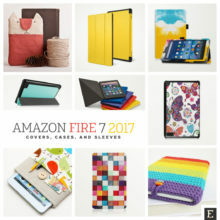 Brighten your life with the Fire 7 tablet, and brighten your Fire 7 tablet with one of these colorful cases, covers, and sleeves. 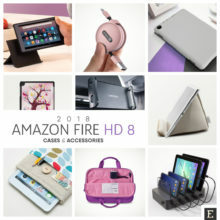 They fit the 7th generation Amazon Fire 7, released in June 2017. Amazon Fire 7 is an affordable tablet for anyone who wants all that’s needed to be entertained without the need to overpay for highly advanced features. We could compare the Fire 7 to other $50 7-inch tablets available on the market, but a more useful comparison will be with the 8-inch Fire that comes with an HD display. The decision would be to choose the size and quality of the screen while keeping the benefits of belonging to an extensive Amazon content ecosystem. 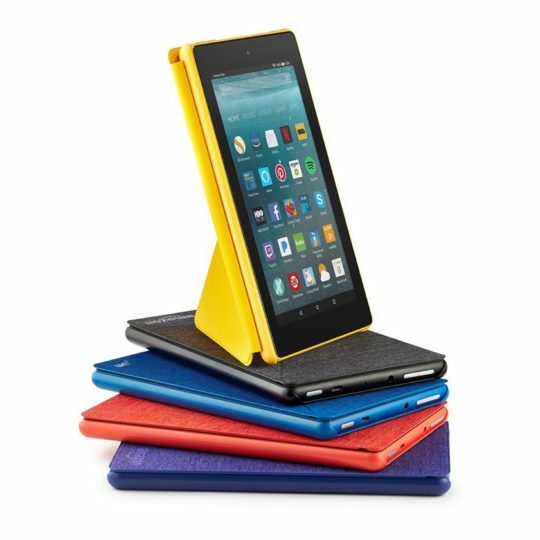 As I already said above, the 2017 Fire HD 8 tablet is basically the 2016 model, but in different body colors, and the price lowered by $10, to $79.99. As a reference, we add to the comparison set a 7-inch tablet from Samsung – the Galaxy Tab A 7. Galaxy Tab A 7 was released in March 2016. 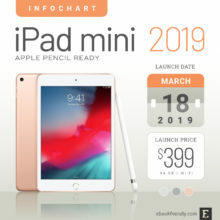 Its launch price was $149.99 (three times higher than Fire 7). However, the official price is now reduced to $119.99. Therefore, if you want to have the tablet with a much better screen and cameras than these in Fire 7, you may consider it an option to get. Want to know what are top reviewers saying about the 7-inch Amazon Fire tablet released in 2017? Here are the most helpful highlights. These cheap tablets are ideal for families with children who treat gadgets like toys that can be slammed on a table or thrown against the ground. After spending hours holding the Fire with one hand to read e-books and to watch Netflix videos, my wrist did not feel strained. 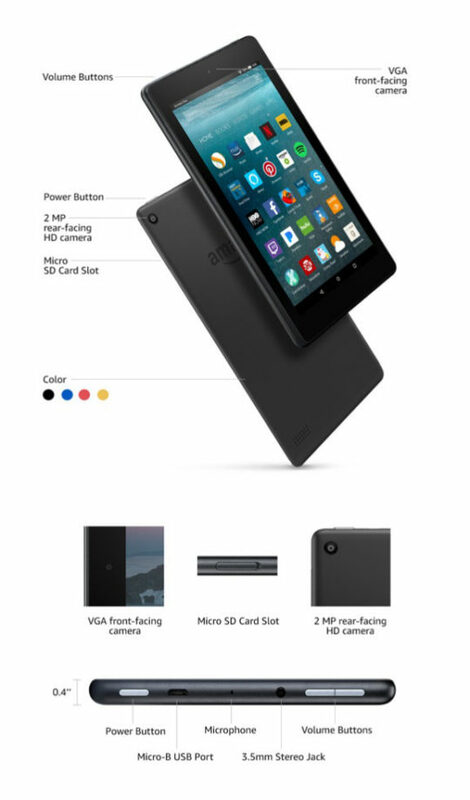 The 2017 version of the Amazon Fire 7 has the same lackluster 1,024 x 600 display as previous models, and although text was easy to read, images and graphics looked grainy across the board. The Fire 7 is a thing for reading books, streaming Netflix, playing a few games of “Candy Crush” or “Hearthstone,” and flipping through the web on the couch. Nothing more. In that light, it’s the definition of “fine.” But when you can get fine for $50, that’s value. As for performance, the Fire 7 runs pretty smoothly despite its entry-level status. I wouldn’t call it zippy, but it doesn’t feel sluggish and I didn’t have a problem with the responsiveness of the touch screen. If you had any aspirations of taking your new Fire 7 out into the sunshine this summer, you’ll be sorely disappointed. Doing so will render the screen a washed-out, overly reflective mess. 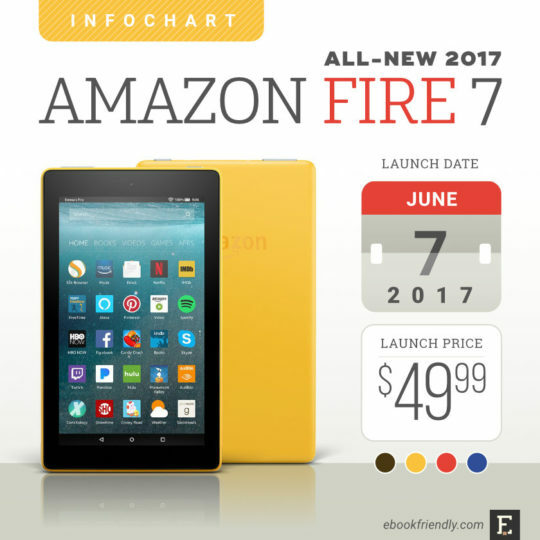 The Amazon Fire 7 (2017) would be the ideal second or even third tablet for a busy family. Its low price means you could throw it in a garden shed or a beach bag with a Bluetooth speaker and it would serve as a decent ad hoc media system. This year’s tablet struggles with performance because the needs of the Android OS are starting to outstrip its 1GB of available RAM, slowing everything down. The Fire 7 has dual-band Wi-Fi, which is absolutely needed nowadays. […] But the speeds we saw on 5GHz on the Fire 7 were often only half of what we saw on the Fire HD 8—once more, with the same processor and presumably the same Wi-Fi chips. Take a closer look at the 2017 7-inch entry-level Amazon Fire tablet. Below, you’ll find the full tech specs of the Amazon Fire 7 released in 2017. What does Amazon say about the new Fire tablet? Here are the highlights from the product detail page. The fast quad-core processor consists of four high-performance 1.3 GHz cores for quick app launches, smooth games and videos, and great overall performance. Plus, Fire 7 now offers dual-band Wi-Fi with support for more Wi-Fi networks and better network performance. Fire 7 features a 1024 x 600 IPS display with 171 ppi for a bright display with vivid colors and whiter whites for a great viewing experience from all angles. Compared to the previous generation, Fire 7 features an improved display that provides higher contrast and sharper text. Alexa provides quick access to the entertainment you want, including music, games, audiobooks, and more. 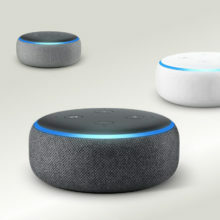 You can also ask Alexa questions, check your calendar, get news, find sports scores, and even control your smart home. All you have to do is press and ask. Expand your tablet’s storage by up to 256 GB using a microSD card to keep your photos, movies, and compatible apps and games with you. Plus enjoy free unlimited cloud storage for all your Amazon content and photos taken with your Fire tablet. With up to 8 hours of mixed use battery life, Fire tablet gives you the flexibility to go wherever the day takes you. Amazon engineers Fire tablets to hold up against everyday life. As measured in tumble tests, Fire 7 is more durable than the latest iPad and 2x more durable than iPad mini 4 (and costs a lot less too). To get more posts about Amazon, Fire, or Kindle, please subscribe by RSS or email. Let’s also connect on Facebook, Twitter, and Pinterest. Celebrate World Book Day 2019 with these free Kindle books in translation! Founder of Ebook Friendly. Ebook enthusiast, technology geek, and self-published short story author. 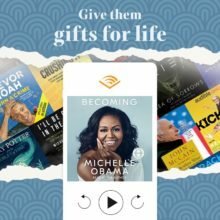 On Amazon, you can get Audible gift membership plans in two easy steps similar to buying Amazon gift cards. 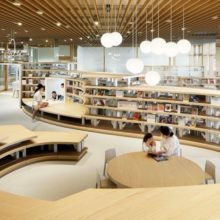 Kazunobu Nakamura’s brilliant library design changed the lives of the Kikuchi residents – it sparked a love for reading, a love for libraries, but most importantly – a love for the city. 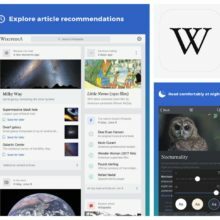 The application is heavily integrated with iOS, offers multilingual support, personalization options, and Spotlight search support. Which device is better for reading - Kindle or iPad? Everything depends on what, when, and how you want to read. Amazon Choice: From ESR comes one of the thinnest iPad mini 5 cases. 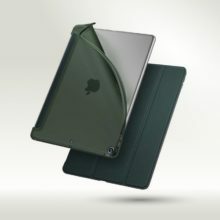 It combines a slim magnetic tri-fold cover with a unique back case made of flexible, rubberized TPU. Looking for a case for your new 11-inch iPad Pro? 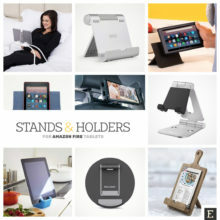 We’ve picked up the best covers, stand cases, sleeves, and bags from Amazon, eBay, and Etsy. These affordable Bluetooth-enabled speakers and headphones provide long battery life – long enough to finish an entire audiobook. Looking for a perfect iPad mini 5 case? The best you can find on Amazon, eBay, and Etsy. 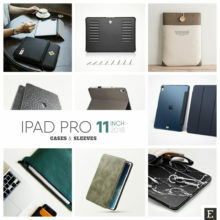 Smart Cover alternatives, heavy-duty cases, premium sleeves, keyboard cases, and covers with built-in Apple Pencil holder. 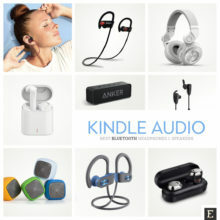 Browse millions of products on Amazon.com, including bestselling books, hot new devices, and most sought-after gifts. Please note that we may earn a small commission if you buy something on Amazon through the links seen in this box. Details. Amazon’s most popular Alexa-controlled speaker now comes with greatly improved sound and a new design. Available in three colors, perfect for any room. 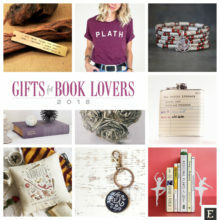 Join us for lists, tips, news and fun stuff about books and reading in digital times. 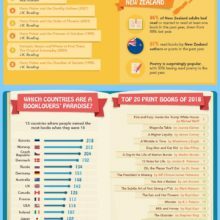 You can read Ebook Friendly not only on a computer, but also a tablet or smartphone. No matter whether you use Facebook on the iPad or Twitter on your Android phone, our site loads fast and is easy to read.